In February 1945, because of bad weather, the 486th Bomb Group underwent a four-day respite from their bombing chores. And during the four off days, the Station 174 troopers did some relaxing, including to strongly support the stout and ale establishments in Sudbury and nearby towns. 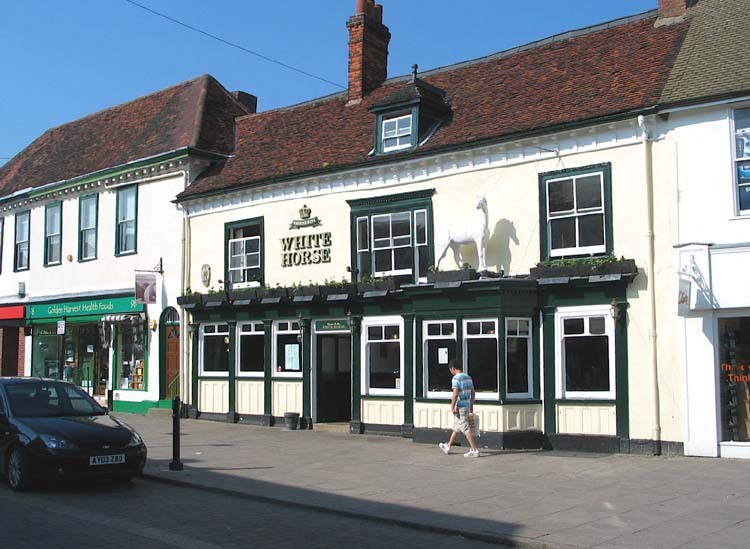 During one such R and R excursion, to the White Horse Tavern in Sudbury, a nasty confrontation took place, which would have better not occured at all, but no doubt resulted because of too much alcohol and too much war nerves and too much bad weather, which combined, put men in a very testy mood.